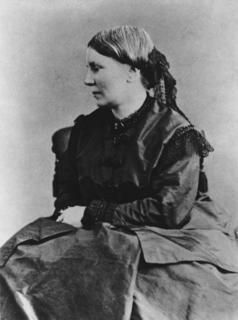 A look at the autobiography of America’s first female doctor, on the anniversary of her receiving an M.D. I hated everything connected with the body, and could not bear the sight of a medical book. This was so true, that I had been always foolishly ashamed of any form of illness. When attacked many years before by intermittent fever, I desperately tried to walk off the deadly chill ; and when unable to do so, shut myself up alone in a dark room till the stage of fever was over, with a feeling that such subjection to disease was contemptible. As a school girl I had tried to harden the body by sleeping on the floor at night, and even passing a couple of days without food, with the foolish notion of thus subduing one’s physical nature. I had been horrified also during my schooldays by seeing a bullock’s eye resting on its cushion of rather bloody fat, by means of which one of the professors wished to interest his class in the wonderful structure of the eye. Physiology, thus taught, became extremely distasteful to me. My favourite studies were history and metaphysics, and the very thought of dwelling on the physical structure of the body and its various ailments filled me with disgust. What did motivate her was a near-desperation to avoid the trappings of marriage. Men, it seems, were a profound disappointment to her, and she loathed the idea of being beholden to one. The book has several sections detailing the many obstacles she encountered, which are easy enough to imagine, but engrossing none-the-less (incidentally the book is short, and free on Amazon, see link above). She was rejected by a slue of schools before Geneva Medical College in Western New York finally took her in. Apparently school administrators there decided to hold a vote, and to reject her if even one member of their all-male student body came out against the idea. Lucky for her, the students voted unanimously in favor — because they all thought it was a joke. 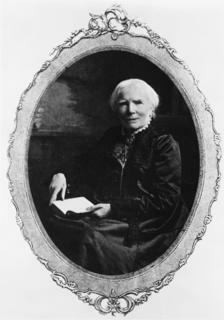 Elizabeth Blackwell, M.D. The Schlessinger Library, via National Library of Medicine. What I best like is this tidbit below, because it suggests that her biggest motivation of all was the obstacles themselves. In other words, when people told her it would be difficult to impossible, she thought, Great! A challenge! That’s exactly what I’m looking for! The answers I received were curiously unanimous. They all replied to the effect that the idea was a good one, but that it was impossible to accomplish it ; that there was no way of obtaining such an education for a woman ; that the education required was long and expensive ; that there were innumerable obstacles in the way of such a course ; and that, in short, the idea, though a valuable one, was impossible of execution. This verdict, however, no matter from how great an authority, was rather an encouragement than otherwise to a young and active person who needed an absorbing occupation. 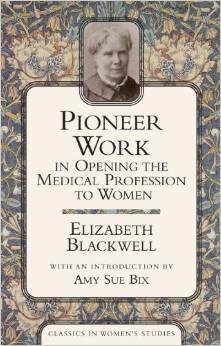 Anyway, after being rejected for jobs in various posts around the U.S., and struggling to build a private practice (back then, “female doctor” was a euphemism for “abortionist” as women were the only ones willing to perform the deeply stigmatized procedure), Blackwell studied in Europe for a spell, then returned to open a small dispensary near Tompkins Square in Manhattan, which eventually grew into The New York Infirmary for Indigent Women and Children. She never married (though she did adopt an orphaned Irish girl from Randall’s Island whom she raised as a half-servant, half-daughter). 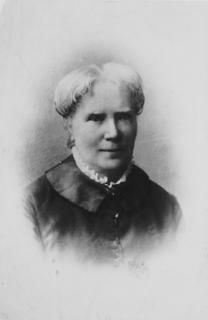 Images come directly from the National Library of Medicine’s page, Changing the Face of Medicine | Dr. Elizabeth Blackwell courtesy of Schlessinger Library, Barnard Institute. ever fascinating. i love the stories you bring here….